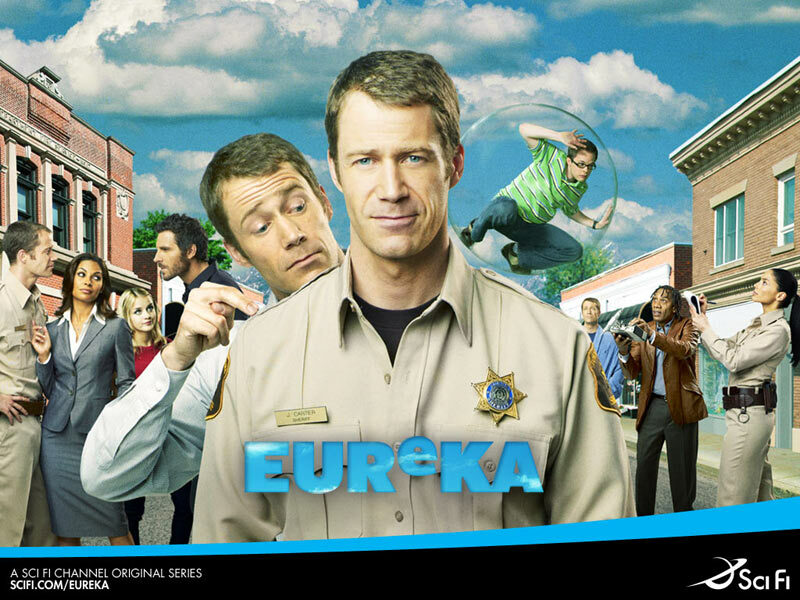 I’ve become obsessed with Eureka. If you don’t know, it’s a quirky SyFy show. It’s about a town of scientists and all the merry, entertaining things that can go wrong. And right. I don’t actually watch the Syfy channel and I had never heard of this show until recently. On Twitter, in fact, when it got cancelled. Sad face. So one day I was working late – my office was deserted and I was working through a backlog of reporting that required very little brain power – so I turned the first episode on my iPhone through Netflix streaming and gave it a try. Then I watched the next one. Then I went home and made my husband watch the next one. So now I’m in Season 3. I love it. Give it a try, if you haven’t. I love Eureka! They had me at “What are you an einstein? No, Im an oppenheimer the einsteins live down the street”!